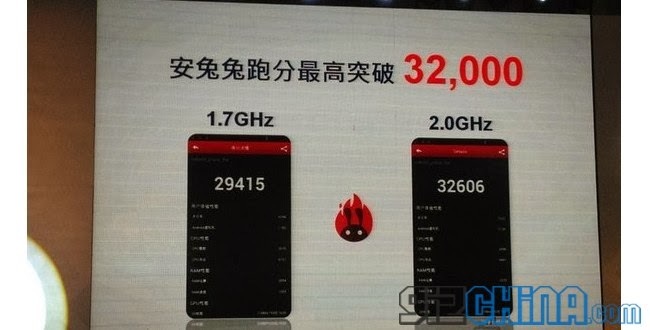 The abovementioned scores put the 2GHz CPU version of the chipset at the very top of the Antutu performance chart, besting every high-end Android device we’ve tested this far. You can see how exactly the MediaTek MT6592 fares in the chart below. While the chipset’s score in undeniably impressive, it must be noted that the screen resolution of the device used for the benchmark testing hasn’t been disclosed. A device with a 720p display for example, would post a significantly higher score than one with a FullHD unit. We will pass final judgment when we get to put a final production device with the new chipset through its paces. The initial impression though, shows that MediaTek might be dropping its budget credentials for more high-end ones.